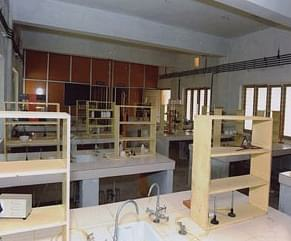 Mar Dioscorus College of Pharmacy was established in the year 2004. It was founded with a view to impart the quality of education in the field of Pharmacy. Located in the Thiruvananthapuram, the college is equipped with state of the art infrastructure and is having an environment for learning and development. It also offers with graduate and post graduate programs in the field of pharmacy to the students. This college is affiliated to the Kerala University of Health Sciences, Thrissur and is also approved by the Govt. of Kerala, AICTE &PCI. The faculty of the college is qualified and experienced in their field of expertise. The college is in an extensive area of about 10 acres. 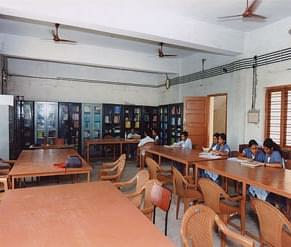 The college has a well stocked library. The library has about 5703 books volumes with about 534 titles. In addition to this it has about 6 national journals, 6 international journals, 2 E- journals and around 262 project reports for the students. The college has an anti ragging committee to have surveillance over such activities. Ragging is strictly prohibited inside the college & is punishable. Why to Join Mar Dioscorus College of Pharmacy? 1. Student Empowerment Programs &Counseling – Mar Dioscorus College of Pharmacy has a counseling wing & Student Empowerment wing for the college students. The counseling wing helps the students to gain confidence, clear thinking and also motivates the students to take the decisions independently. Whereas, the student empowerment wing kindles the students to attend various seminars, debates that are organized by different institutes, which help them to enhance their individual knowledge and skills.